PHOTO COURTESY OF NBC WORLD OF DANCE. The winner of redemption is… Dancetown Divas. Those seven heartbreaking words brought an end to All Male’s (MKAM) tenure on NBC’s World of Dance, but the team has nothing to be ashamed of after their historic run on the television show. After receiving the third highest score in the junior team division in the qualifiers to advance to the next round, MKAM elected to face off against Elektro Crew in the duels. As the higher ranked team, MKAM entered the showdown as the favorite to advance, but their chances took a significant hit when junior Erick Moreno injured himself while practicing the night before their performance, leaving him unable to compete. Although the team had to essentially remake the routine due to Moreno’s absence, their fiery, warrior-themed routine still drew high praises from the judges and earned them an overall score of 90.7. However, it was not enough to defeat Elektro Crew, as their ‘Thriller’ themed performance earned them a 91.0 to help them win the duel. As one of the two highest-scoring eliminated acts, MKAM had one more chance2 to advance in the redemption round against Dancetown Divas. 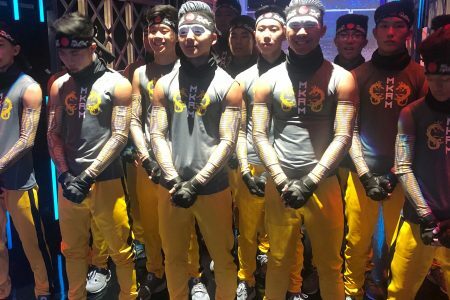 MKAM is known for their intense, dynamic style, and thus, the song choice did not fall in their favor as both teams had to perform a routine to Ciara’s “Level Up” in the head-to-head matchup. They did not let the song choice stop them, as they proceeded to put on an outstanding performance, but ultimately, the judges ruled in favor of the Dancetown Divas, ousting MKAM from the competition. “The first time I heard the song, I knew we would have a very hard time dancing to this song. We knew the Divas would bring their all especially since their style matched the music, but at the end of the day, you give credit where credit is due,” said Im. The team certainly has plenty to be proud of, and while they had to face an obstacle that no other team had to face, their elimination still left them with feelings of disappointment. “I am so proud of them for almost accomplishing an impossible task. MKAM never settles for less and we always strive for the moon but we were devastated when we only reached the second round,” said Moreno. 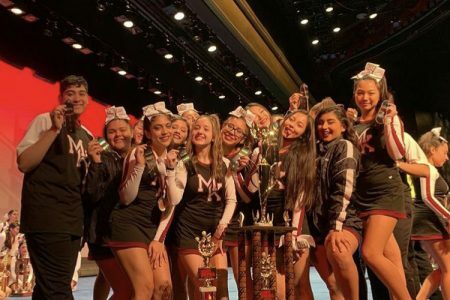 However, this disappointment was short-lived, as MKAM combined with Dance Team to win four national championships at the Miss Dance Drill Team (MDDT) USA Nationals competition last weekend. Both teams had combined to win three national championships the previous weekend at the West Coast Elite Nationals competition, and they continued their dominance with national titles in Medium/Large Male Hip Hop, Small Male Hip Hop, Kick and Medium Female Hip Hop. “Before this year, Paige [Nakahara], the Dance Team Captain, and I promised each other that we would devote our hearts and souls into making this year the best Dance Company has ever had. I’m very happy and lucky that I had a team that was as driven as I was at the start of the year and it’s been amazing to see this program grow into one of the top programs in the country,” said Im. Dance Company is known for their long hours of practice, making their success at both competitions and on World of Dance all the more fitting as both teams were able to see all of their hard work come to fruition. “My team and I were extremely happy with all our successes this year considering how hard we worked to get to this point. 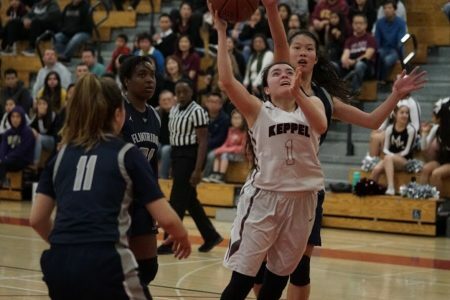 Winning national championship titles at both national competitions just proved that we didn’t win by luck, but by the amazing work we put on the floor,” said Nakahara. The MDDT USA Nationals competition spelled the end of the competition season for Dance Company, and despite the fact that some of their best dancers and leaders will be graduating, All Male and Dance Team look to be in good hands moving forward. The teams not only know what they need to do, but are also prepared to build upon this year’s success. Specifically for MKAM, if given the opportunity, the guys are more than ready to prove themselves and get revenge on World of Dance. “This does not mark the end for us and we are continuing to do great things. We just won every competition we went to and who knows? Maybe we will be back next year,” said Moreno.